M.Tech. in Structural Dynamics and Earthquake Engineering from VNIT Nagpur in 2012. B.E. in Civil Engineering from Sant Gadge Baba Amravati University, 2010. 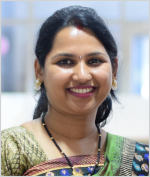 OP Jindal University, Raigarh (C.G), Working as a Assistant Professor from Nov 2014 to till date. Worked as a Assistant Professor in Sinhagad Academic of Engineering, Pune from Dec 2012 to Oct 2013. Laboratory Model Testing on Shake Table. Waste material uses in concrete. Tulika Gupta, "Shake Table Test On Laboratory Model – (G+1) “International Journal Of Innovative Trends In Engineering (IJITE) ISSN:2395- 2946 Volume-08, Number-01, 2015 34 . Tulika Gupta, “Single Axis Shake Table Test On Various Laboratory Model G+3,” 2nd International Conference on Advances in Steel, Power and Construction Technology,(March 17-19,2016). Tulika Gupta, “Experimental Study Of Cenosphere As Construction Material,” 3rd International Conference on Advances in Steel, Power and Construction Technology,(March 22-23,2017). Tulika Gupta, “Preliminary Project Planning For Building Construction,” 3rd International Conference on Advances in Steel, Power and Construction Technology,(March 22-23,2017). Tulika Gupta,” Introduction of E-Tools in Construction Management” 3rd International Conference on Advances in Steel, Power and Construction Technology,(March 22-23,2017).